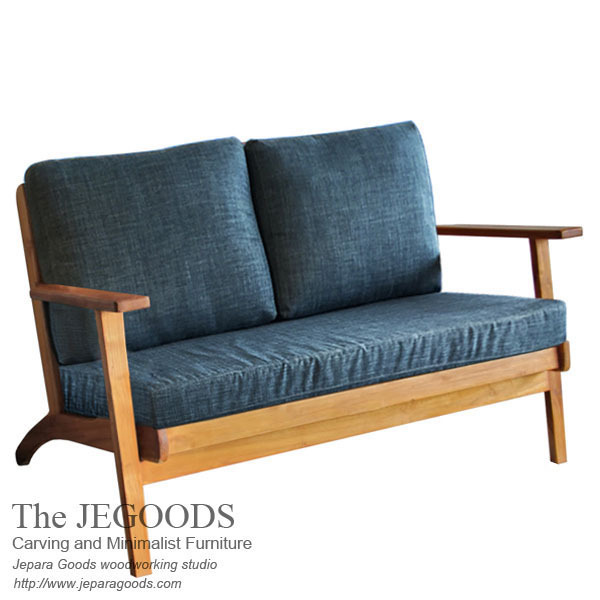 A stylish sofa Loveseat designed in retro and minimalist concept. Skandin Hans Sofa Bench Loveseat is stunning design that will blend perfectly with your home interior, it’s ideal piece of furniture to add to your living room. Beautifully made of teak solid Indonesia, with kiln dried proceed to achieve maximum durability and performance during use. Very well hand-made construction method by our experienced wood craftsman in Jepara, Central Java, Indonesia. This Sofa Bench Loveseat is made of best with affordable price. Please contact us and we will do our best to fulfill your need.